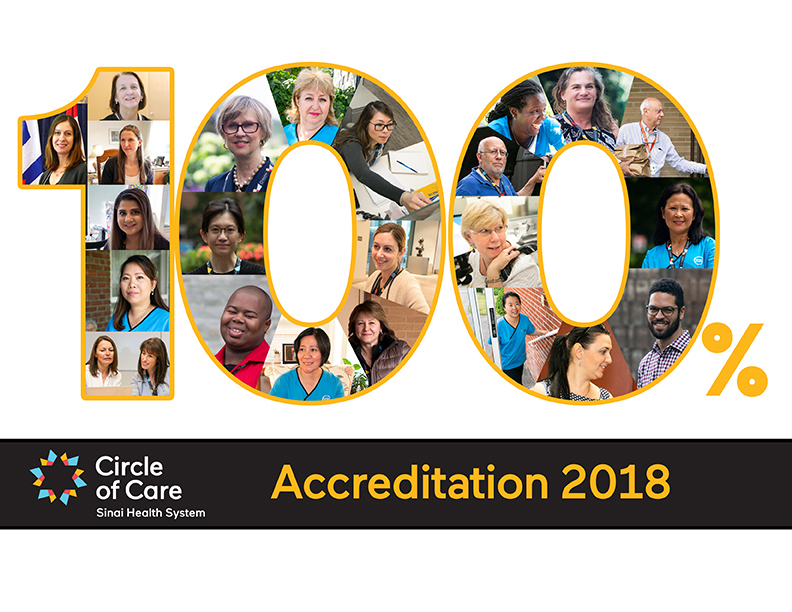 Circle of Care, part of Sinai Health System, was recently awarded Exemplary Standing by Accreditation Canada, with a perfect score of 100 per cent. This remarkable designation places Circle of Care among the country’s highest-ranked home care and community support service agencies. In this national, peer-reviewed process that took place from October 21-24, 2018, Circle of Care met every Required Organizational Practice, and was 100 per cent compliant with applicable standards of client safety, quality and excellence. Circle of Care previously achieved Exemplary Standing in 2014.